A very warm welcome to my 6th and final tip in this series. I feel I have saved the best for last, as in my view this is probably the most important tip and insight that I have given. You might be surprised to know that 'will power' has only 5% success rate in stopping smoking. Why? Because will power resides in the conscious mind. The conscious mind is the analytical, critical, and 'thinking' part of the mind that we make decisions with every day such as 'What should I eat? '; 'What should I wear? ', etc. This mind shuts down completely when we are asleep and only functions in the waking state. The conscious mind is linear thinking and sequential (it can only think of any one thing at any one time). It likes logical order and is also responsible for our self -talk. The subconscious mind is much more powerful than the conscious mind. The conscious mind is like a drop of water in the ocean, whereas the subconscious mind IS the ocean. 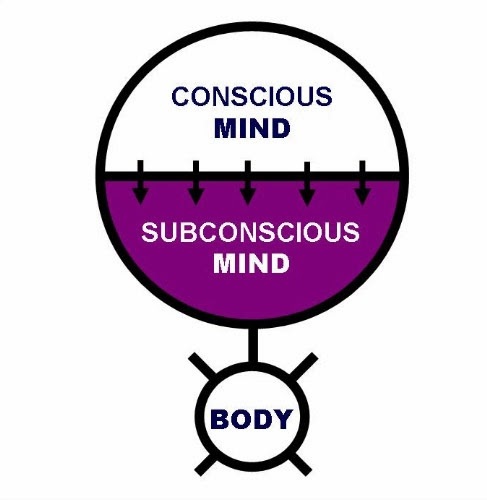 The subconscious controls everything we do, feel, touch and smell. It is the source of our imagination and everything we do automatically on a daily basis, like walking, talking, reading and writing. It is also the source of our habits and behaviors. Now, most important to keep in mind (no pun intended!) is that if the conscious and subconscious minds are in conflict, the subconscious will always win out. Many people have tried and failed to stop smoking because they have done so strictly on a conscious level. They usually fail because that conscious decision comes into a conflict with the subconscious. When the message to stop smoking filters down to the subconscious it can meet resistance. Why? Because most smokers keep reminding themselves that they can't stop smoking. Every time they do that they are sending a suggestion to the subconscious which prevents them from being successful. Most smokers agree that smoking is not good for their health and hate the taste, but of course it is not a logical problem, but a subconscious emotional attachment. No matter how much a smoker wants to quit consciously, if the subconscious mind does not agree, then in most cases it will not work and the habit will remain. The change to a non smoker happens when you really believe something with unqualified passion. Only then will that belief will go deep into our subconscious. 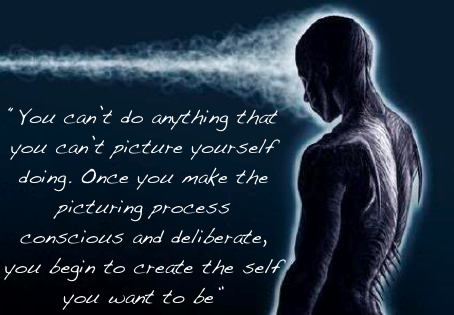 It's important to convince your subconscious mind of the reality you desire. This happens by presenting your subconscious mind with new orders repeatedly. You can do this using 'self-hypnosis' everyday. Doing this exercise regularly helps develops a habit. All hypnosis is 'self-hypnosis' and the term 'self-hypnosis' involves actually placing yourself into hypnosis, where you can condition and program yourself with positive suggestions to stop smoking. Self-hypnosis is something I teach all my non smoking clients. All I ask is that client commit to doing the exercise every night for 21 days and they are always amazed by the results. Welcome to my 5th and penultimate tip in my series of Stop Smoking Tips for 2014! Hopefully you have now enjoyed a few days and weeks free of a bad habit. If you have followed my previous tips, and set out with the right attitude, hopefully you will have found it easier than you expected to stop. Once you build up some momentum, there is no looking back. So make sure to get rid of all packets of cigarettes and ashtrays from your home, car, etc. 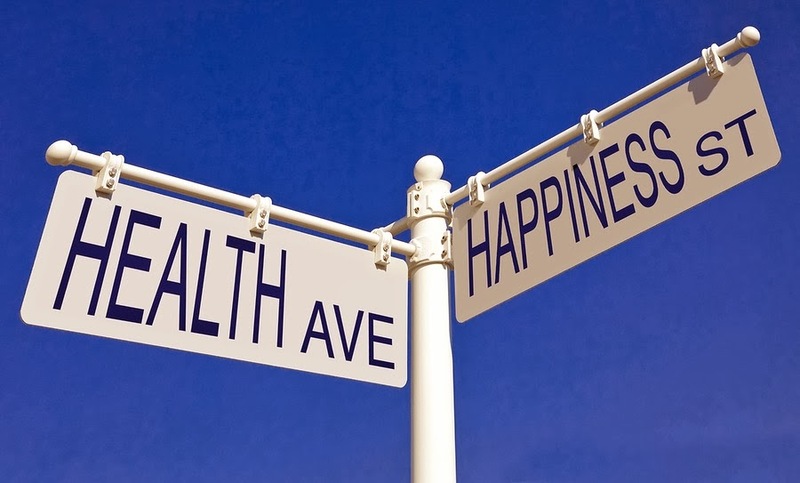 With everyday that goes by, see it metaphorically speaking as taking another step down that golden road of health and happiness, where you are feeling good, energetic, smelling fresh and having more money in your pocket. You have made this decision to stop smoking so full steam ahead! 1. Social events: Remember that you are smoke free because it is a choice that you have made. It can be all too easy with a few drinks to get carried away and let your guard down. All it takes is one puff and in nearly all cases you are back smoking full time again the very next day. Instead, think about how great you'll feel in the morning when you wake up smoke free (besides the hangover not being half as bad!). If the people you are with smoke, just feel glad that you are free from a disgusting habit! Bring your point of attention to your stomach and imagine you have a deflated balloon in your stomach. Take a slow deep breath and breathe in from the stomach, inflating that balloon. Inhale through the nose. 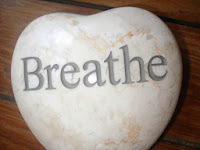 Now slowly exhale through the mouth, pushing out that breath, pushing that breath all the way down your body, imagining your breath like a relaxing mist. Feel yourself letting go with every exhale, your muscles becoming loose and limp, just like you’re a snowman melting on a sunny day. Repeat. Welcome to tip #4 in my series of Stop Smoking Tips for 2014. Since I wrote my last tip you might have heard of the sad death of a Rock & Roll legend - Phil Everly (of 'The Everly Brothers) on January 3, 2014, just two weeks prior to his 75th birthday. The cause of his death was complications attributed to chronic obstructive pulmonary disease (a combination of emphysema and bronchitis), brought on by a lifetime of smoking. Now depending how long you have been smoking, you may have found that you had developed specific times and activities that you now associate with smoking? These can be anything from having a cup of coffee to a night out and a drink with friends. The good news is that these cues can easily be broken and that you can create new non smoking cues. My tip to change this to be aware of your 'thought process'. As part of my hypnosis program, one of the techniques that I teach my clients is called 'Mindfulness' which helps achieve this goal. It helps you to become aware of your thought process - and it empowers you to see your thoughts for what they really are - just 'thoughts'; - and that you do not need to engage with them, just take a long slow deep breath and watch them come and watch them go, without attaching any meaning to them. The average thought lasts just a few moments! So, just because you have a thought to smoke, does not mean you need to go down to the shop and buy a packet of cigarettes! Just say to yourself: "I might have a thought to smoke - but I don't have to". Mindfulness helps us to happily live in the present moment and you will find it very beneficial if you mindfully remember that no craving lasts more than three minutes! Just like a fish swims in water, us human beings swim in our thoughts. How we use these thoughts very much equals how we feel. So getting your 'thought process' right when it comes to stopping smoking is very important. Aim to develop a little ritual whenever you have a thought to smoke. For example buy a bag of sweets and if you have a thought to smoke unwrap and rewrap one of the sweets, and you'll find that a moment later that thought will be already gone. Just distract yourself for that moment and take a slow deep breath and exhale. Now that you have made the decision to stop smoking, you know that it really did serve no purpose in your life. However it is now important to replace the smoking activity with something more productive. You could eat an apple, drink a glass of water or even go for a walk or a run. Mindfully take up a new activity, hobby and/or past time. I am sure you will find doing this will really help create new healthy habits and cues for being healthy and free from a bad habit. Before long you will even be able to enjoy your cup of coffee and night out smoke free. Just make sure that you prepare yourself (see previous tip#2). Once you have one cup of coffee or night out smoke free, you will find it will no longer be a cue to smoke, but a cue to remain a non smoker. I hope you have found this tip beneficial. Please tune in again soon for the next in the series of my Stop Smoking tips for 2104.